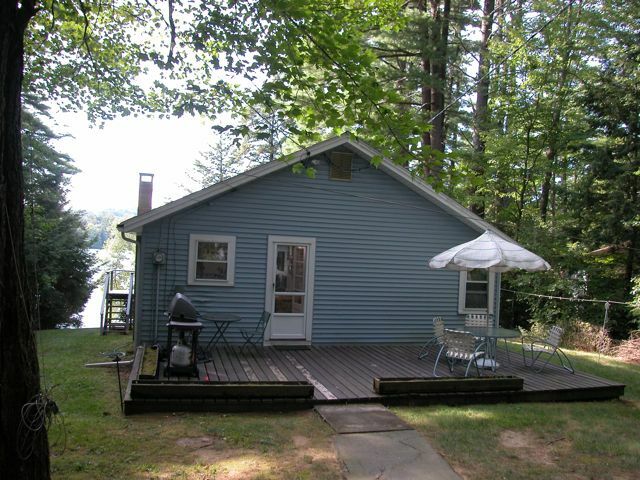 This 1770 square foot; 4 bedroom lake-house rests on a pretty lot with Westerly exposure and beautiful sunsets. 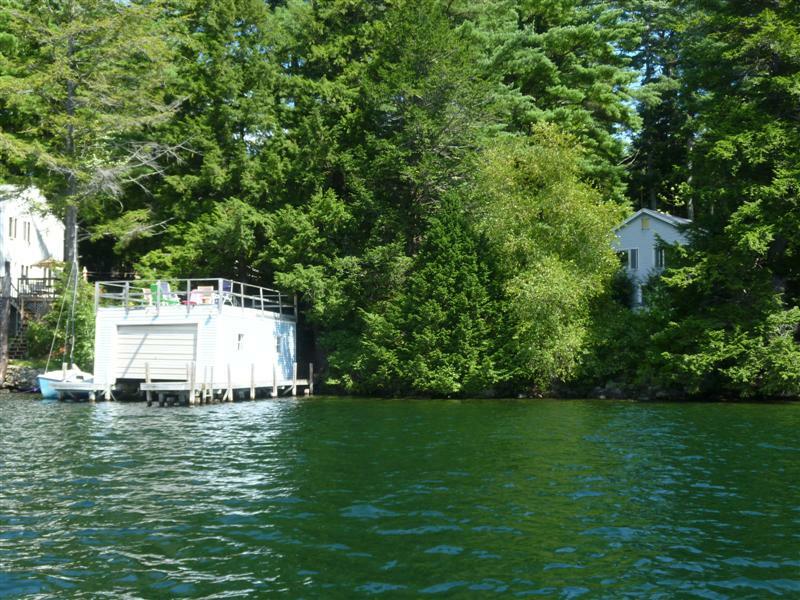 The swimming is from the dock with a ladder into deep water. 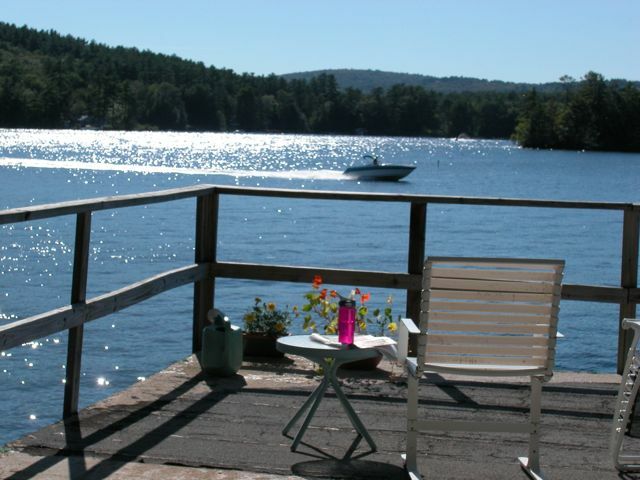 Relax on the roof-top deck of the boat-house and work on your tan or read that book you've been meaning to get to. 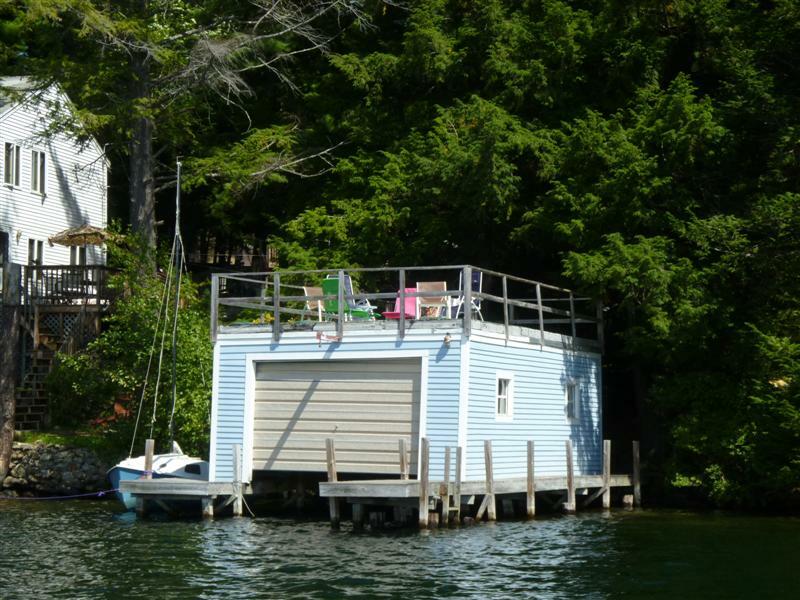 The boat-house will accommodate your boat up to 18 feet in length or you may also put your boat on the dock. 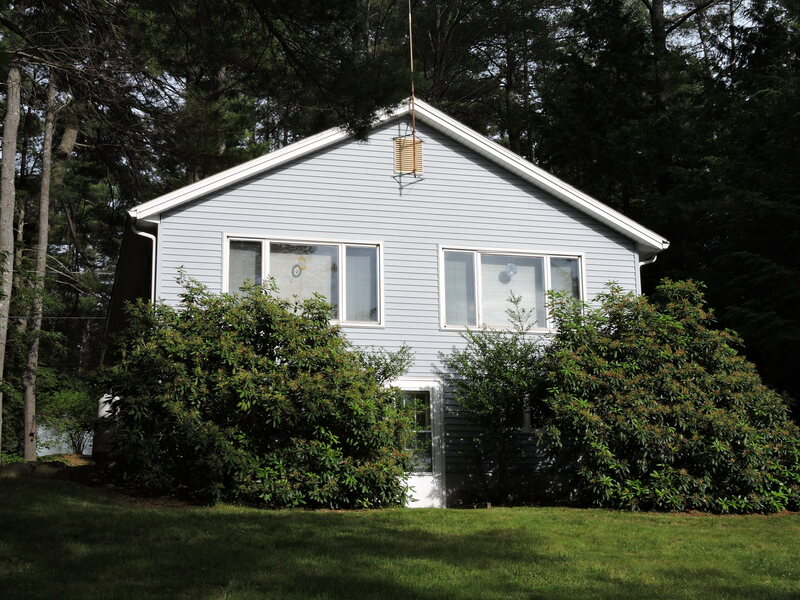 The home is loaded with charm and offers 4 bedrooms (2 on the main level and 2 in the lower level accessed by a spiral stairs), 1 & 3/4 baths (the 3/4 bath is in the lower level), cable wireless internet for posting those vacation photos as soon as you take them and a washer and dryer. 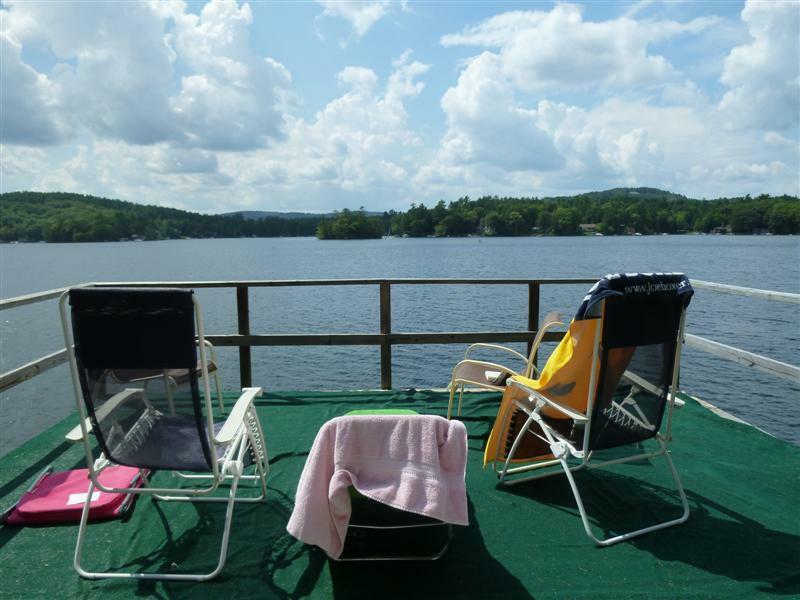 The living room has 2 separate seating areas and there is a dining area with lovely lake and sunset views. 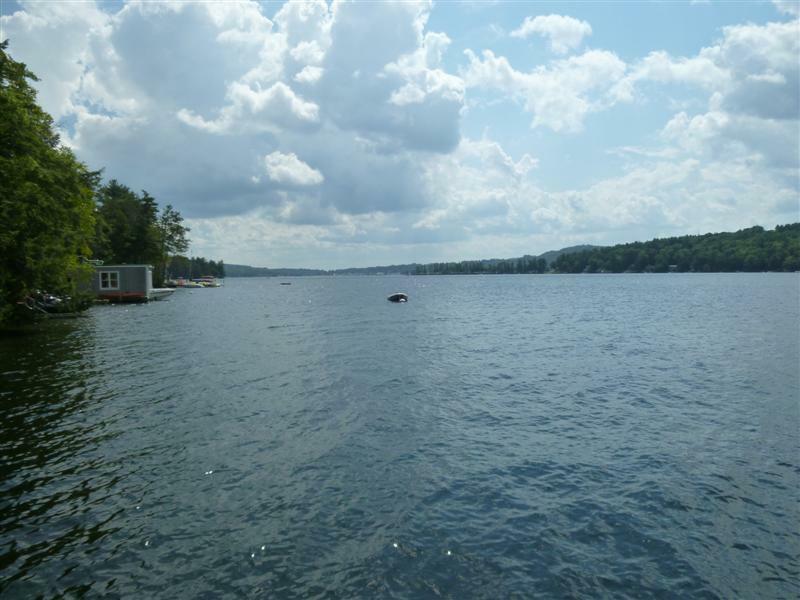 If you prefer a gradual entry into the water; this property has deeded access to a community beach just 2/10 mile down the road (there is a boat ramp at the community beach as well for launching your boat). 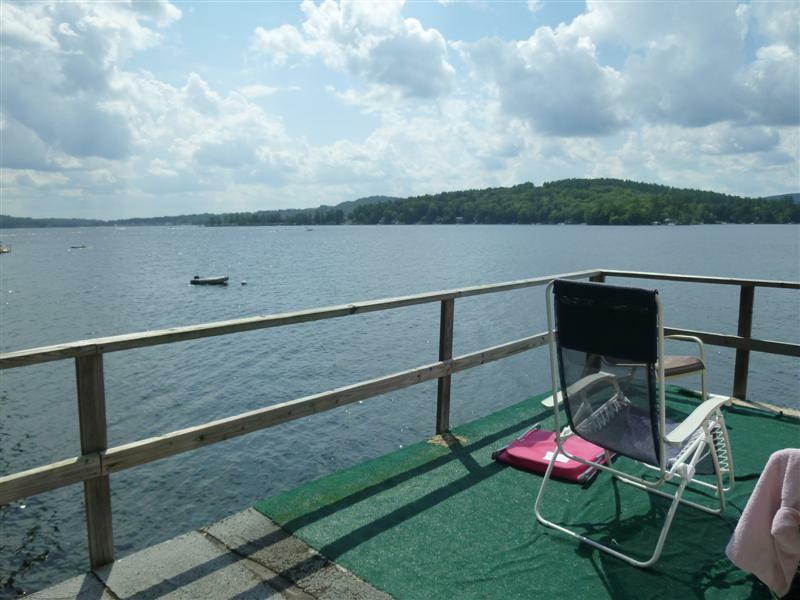 Easy boating access to Meredith and Weirs Beach and just a 10 minute drive from the Town of Meredith. 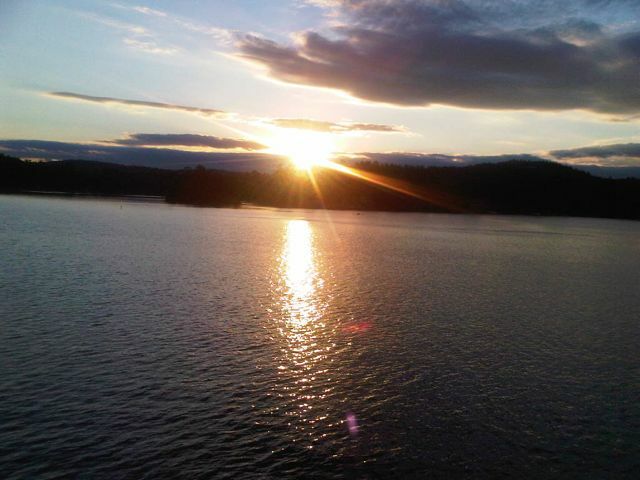 Come and spend your relaxing or adventurous - the choice is yours - vacation here. A dog may be allowed, depending on the size and kind and with the owner's prior approval and a $100 pet fee. Please ask about bringing your dog at the time of booking. Weeks prior to June 8 and after Labor Day: $1,775! 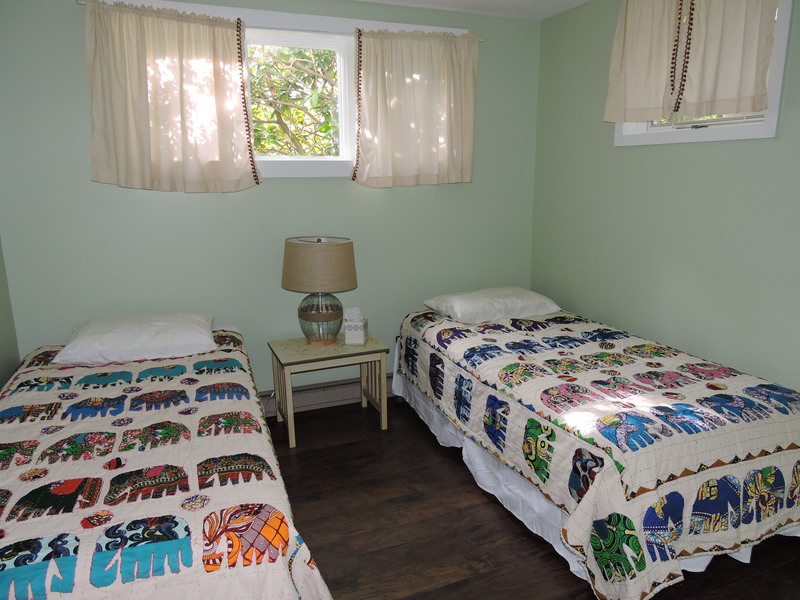 If you would like to rent linens, the fee for this property is $105 for sheets and $12 per person for towels. If you would like to have the beds made for you, the fee is $8 per bed. "I stayed here in August with my family. There were six of us ( 2 adults and 4 HS/college aged kids ). We had a great time! 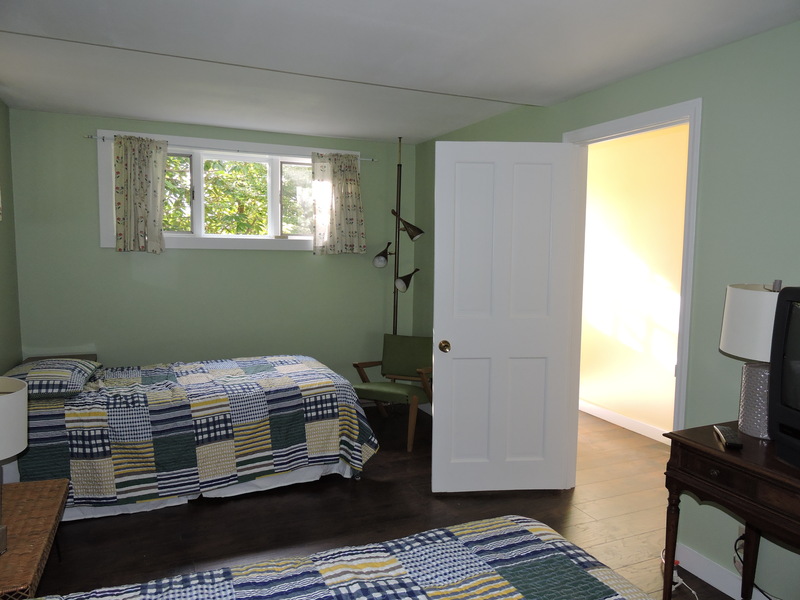 The house itself is great, lots of space to spread out, plenty of light and lots of windows. There is a porch out front ( didn't use it ), with a grill ( used that a couple of times with no issues ). Nice full kitchen with everything you need to cook. 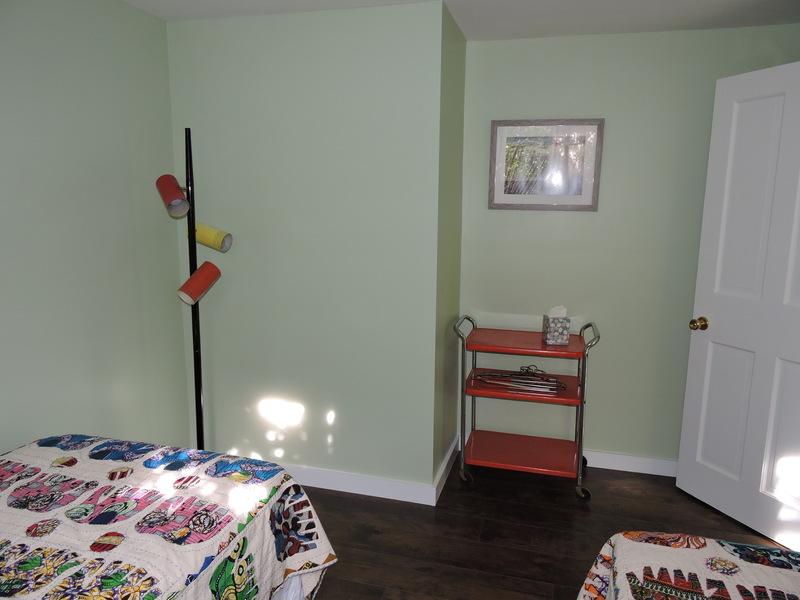 2 nice bedrooms and a full bath on the main floor. 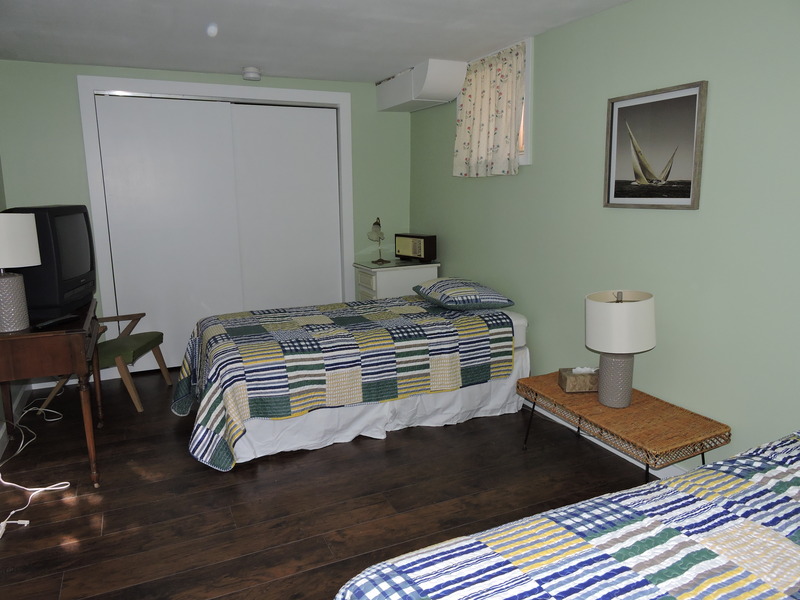 The master bedroom has 2 twin beds put together with a mattress topper to convert it to a king and a large picture window with curtains that looks thru the sun room and out into the back yard and lake. We didn't spend much time in the living room where the TV is but there are plenty of places to sit and the TV is big ( we never turned it on ). 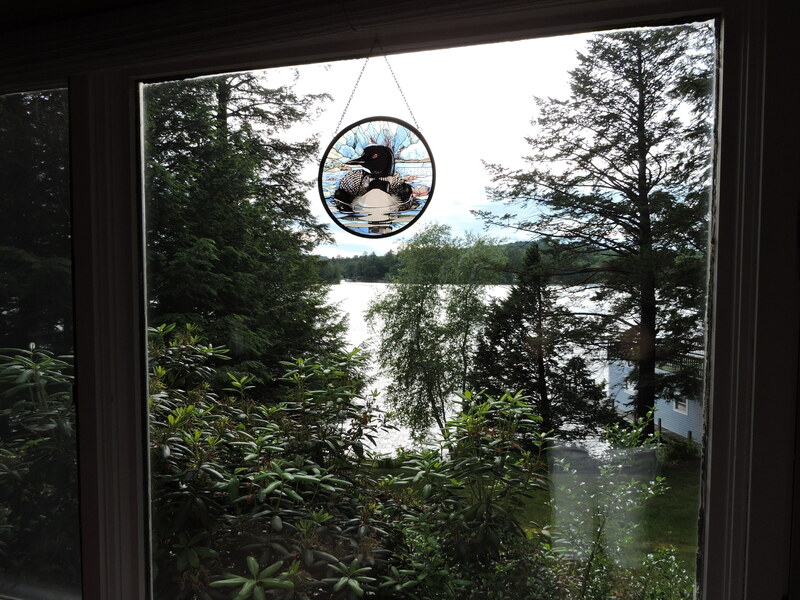 The sun room is where we spend most of our time with a nice view of the large sloping back yard and lake. There is a large dinning room table with a ton of games and puzzles. 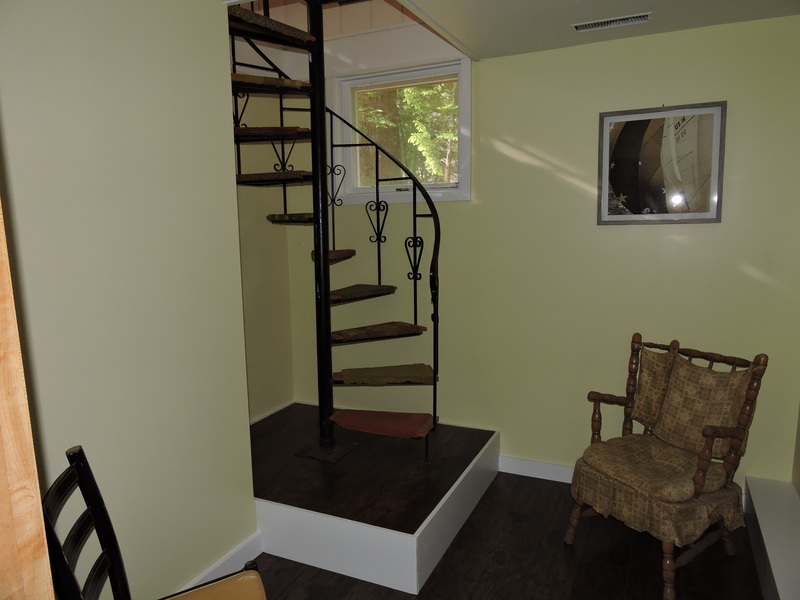 From the sun room, there is a very steep spiral stair case leading down to the lower level ( use caution ). 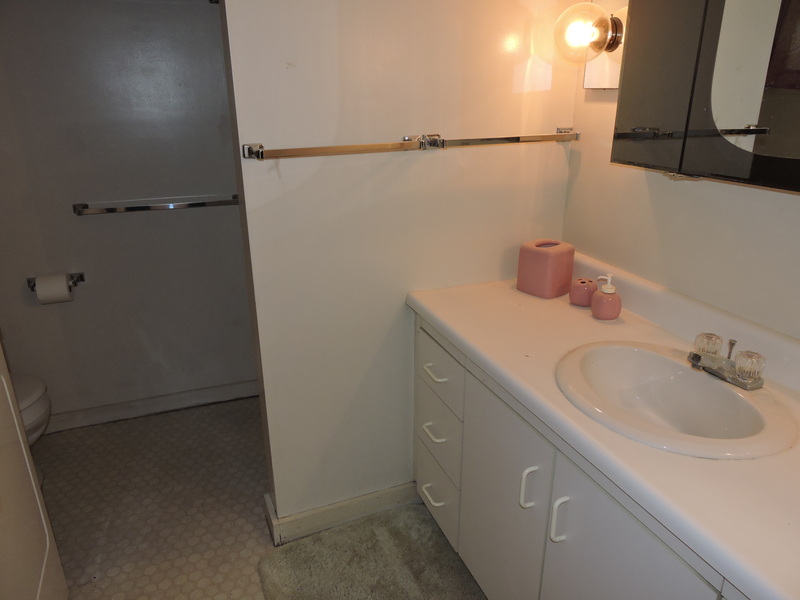 Here, there is another big bathroom with a W/D ( we did a couple loads) & stand up shower. 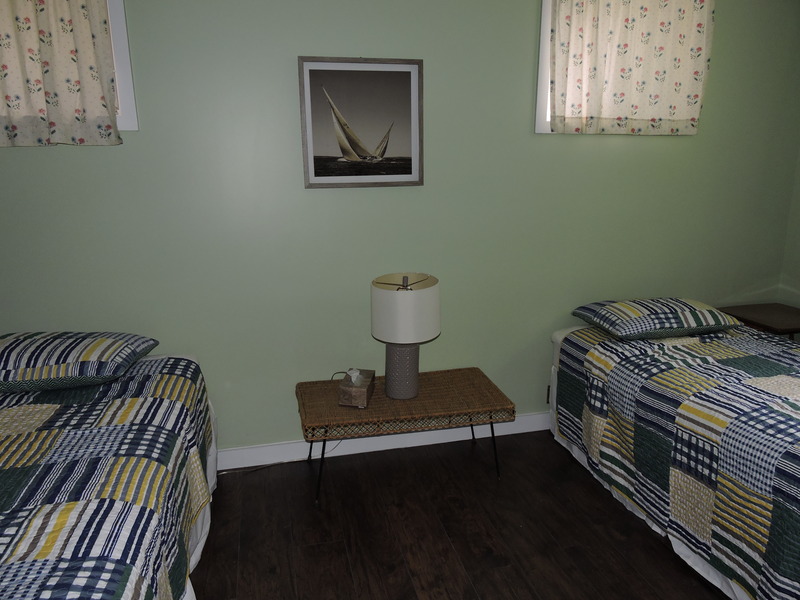 There are two decent sized bedrooms with crank out windows for air and two sets of twin beds. There is a dehumidifier running to keep things smelling good. 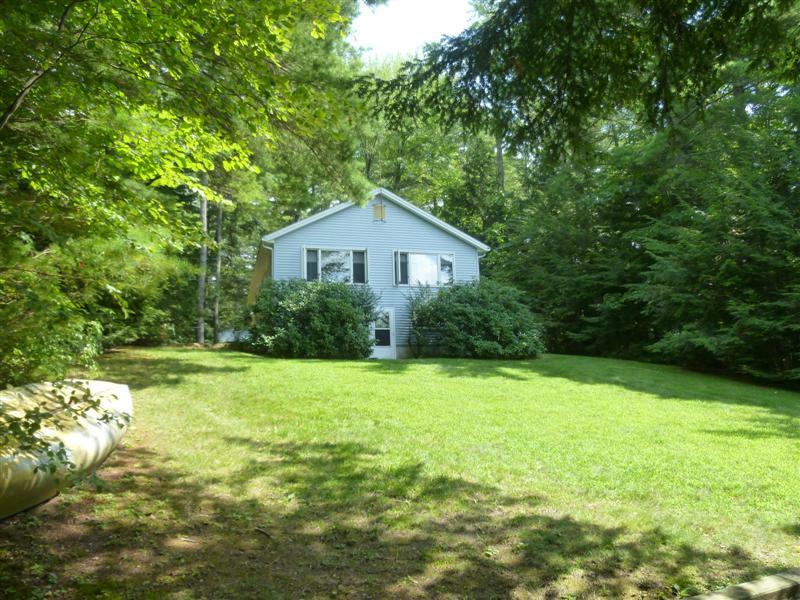 Lastly, there is a door that takes you right out into the back yard. All 4 kids stayed down stairs and were very comfy. 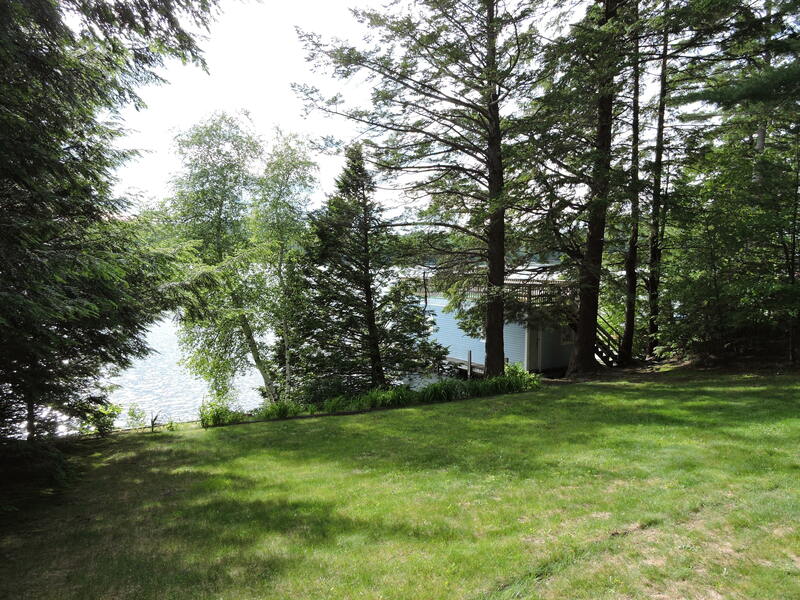 The yard itself is very private with lots of trees and a nice sloping grassy area leading down to the water. 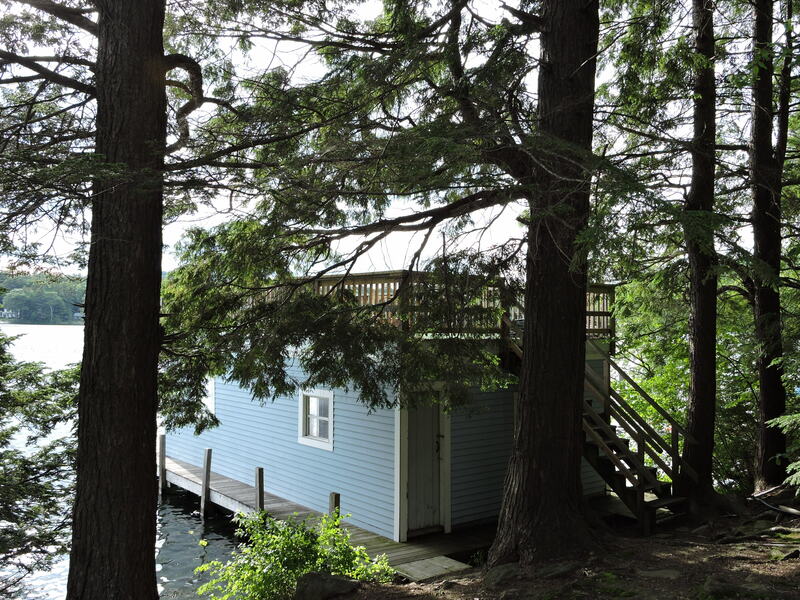 The boat house was our favorite place to stay with a bunch of lounge chairs and an incredible view of the lake. 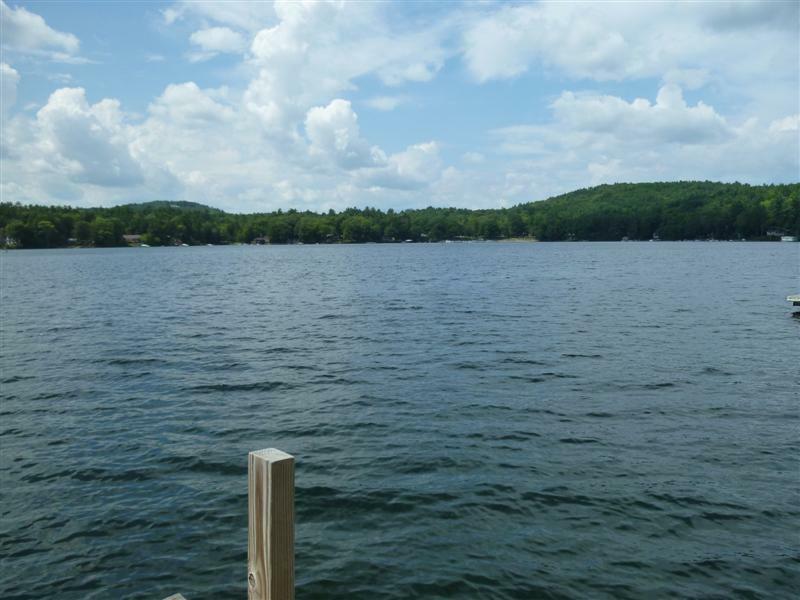 The water off the dock is clean and deep enough to dive. We brought tubes and a kayak. A canoes is provided. The lake itself is HUGE and would take all summer to investigate. We loved out stay and would come back." 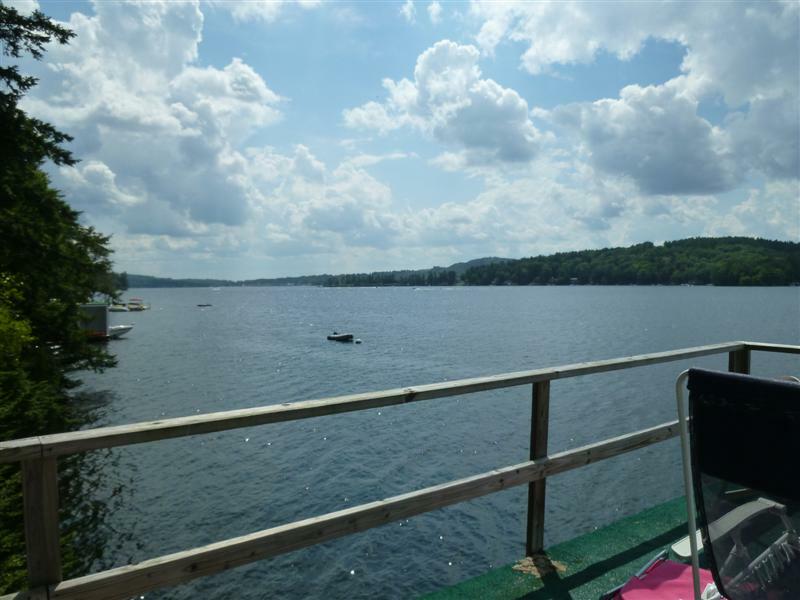 "spent a week in July with familly Great spot with a great view of Lake Winni"
"for us, it is a perfect vacation home. "